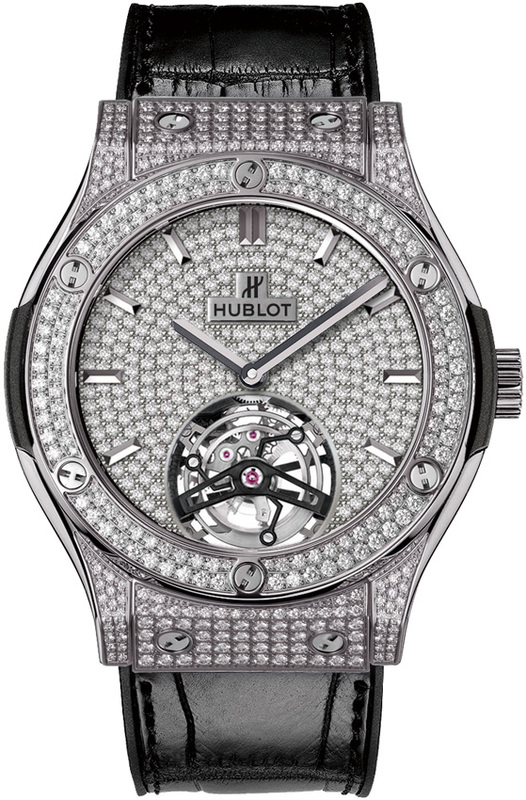 Polished titanium case, pave set with 218 brilliant cut diamonds weighing a total of approximately 1.41 carats. 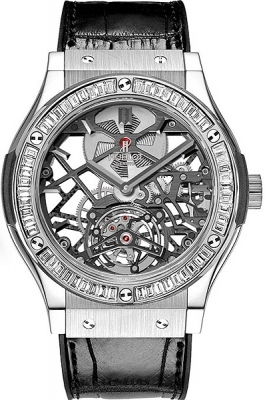 Bezel, set with 126 brilliant cut diamonds weighing a total of approximately .1.41 carats. 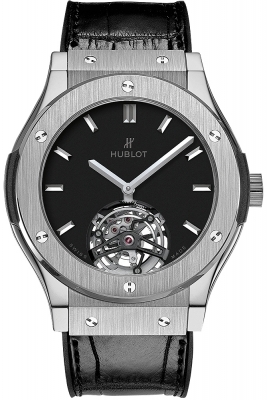 Crown engraved with the Hublot logo. Pave diamond set dial set with 291 brilliant cut diamonds weighing a total of approximately 1.82 carat.